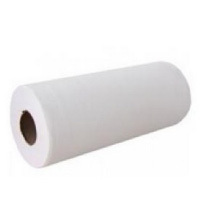 20″ Couch Rolls 50cm 2ply – 12 Rolls are perfect for use in hospitals, medical centres, clinics, sport centres and beauty salons. Hygiene rolls offer crucial additional protection and client comfort. Traditionally used to line couches and medical equipment, these versatile and durable rolls can also be used for any general wiping tasks. 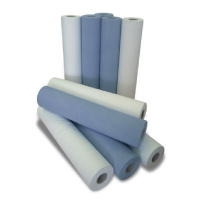 Exceptionally economical and practical, these tissue based blue coloured rolls are individually wrapped for added protection. The rolls are 50cm (20″) wide, 2ply, blue with 12 rolls per case. Each roll features 100 sheets. – Perforated rolls – easy to tear. – Can be used with or without a dispenser. – Open and ready to use wiper offers better sheet usage. – Can be used for several applications.